Curt is in the US for a work trip, and I wonder if it’ll feel weird to go there and then return here as “home”. Before he left, he and the kiddo got me a present to celebrate our 15-years of being together. Curt remembers the first time we kissed, and all that stuff. I’m always surprised, yet delighted that he remembers. As of this month, The West Wing is 15 years old, too. So, he gave me the entire collection in one big set. Voila! 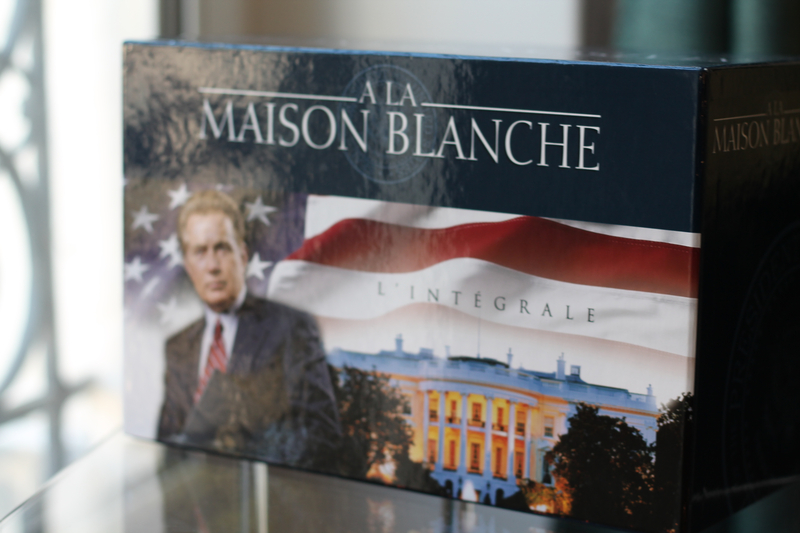 It’s called La Maison Blanche here, a direct translation (the house white). And because we got a little tired of watching films in French, this is a nice reprieve of something old, familiar, even comforting. Here’s a present for you: a definitive ranking of the characters. If you haven’t seen CJ do the Jackal, I highly recommend it. Strategist. Passionate about igniting cultures of innovation. HBR Writer, O'Reilly Author (published January 2010) of The New How, and former CEO of Rubicon. Excellent choice! I hope the dubbing (it’s dubbed, not subtitled, right?) isn’t too distracting, with people who distinctly do not sound like Rob Low/Alison Janney/Martin Sheen. It might be a bit of a challenge to decipher, though, since they can do some seriously fast walk-and-talks. Straight up english, girlfriend. We’ve watched up to season 4 in some binge viewing while he’s gone. Shhh, don’t tell the man.